Microgaming is a world class online casino software provider. This software provider came about in 1994. Within that very year, Microgaming managed to develop the first-ever casino online. In the years to follow, this prestigious software provider became popular, not only for its reliability but also for its superior functions and gaming features. Today, the premier provider is powering over 120 online casinos alongside over 40 poker rooms online. For more on what this provider has in store for you, read on. 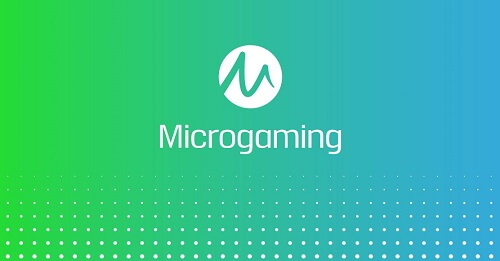 Microgaming, just like every other product, has a story. However, this story is quite interesting so to break it down into easy to read, bite-size chunks we, at Pokies.com, have compiled a timeline for your convenience. 1994- as mentioned before, this is the year the software emerged and the same year the very first casino online software was launched. 1996- Microgaming went live with their first casino operator. 1997- the software became an Interactive Gaming Council (IGC) founding member. 1998- they launched their first progressive jackpot pokie; Cash Splash. 1999- a system to assist gamblers aware of their spending was launched. The systems were called PlayCheck and CashCheck. 2003- The Poker network was launched. Additionally, this year saw the software provider become a founding member of eCOGRA the online casino auditor that ensures fairness and safety for internet gamblers. 2006- both multi hand gameplay for table games and live dealer casino games were launched. 2011- the 3D pokies casino games were introduced to the market. Since then, the software provider has achieved many awards for their outstanding efforts, results and achievements. More so, they continue to move onward and upward on a constant basis. Thanks to their extensive, quality offerings, Microgaming has some of the very best in online gaming titles. Collectively, the provider powers around 600 original titles that are available at their download casinos. If download casinos aren’t really for you, there is no reason to panic, as there are over 300 flash casino game options to choose from. If you are a table games fan, then Microgaming has you covered! With an array of classics and new variations to choose from, you will never get bored! Players can expect to find Video Poker, Card Games, Live Dealer Games, Pokies, Progressive jackpots and so much more! If table games aren’t really your thing and you prefer to let the reels of fate decide your destiny, then Microgaming has your back. Featuring some of the hottest titles, this premier provider has over 50 Video Poker variants, to which you can play a maximum of 100 hands per round. More so, they have 400 plus online slot games which range from the classic 3-reel to the more complicated ones. If that wasn’t enough, every single game powered by Microgaming supports a multitude of currencies and is supported in a whopping 24 different languages. This online software provider clearly has it all, from gaming to safety and quality. Gamblers get a premier gambling experience when choosing to gamble with a Microgaming powered online casino.